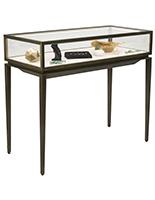 Looking for an affordable fixture for featuring merchandise and curios? 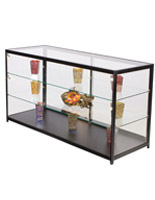 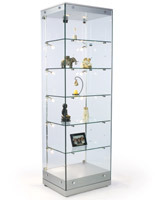 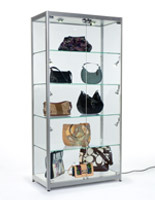 These illuminated display cases on sale are ideal for putting wares in the spotlight with their LEDs or halogen bulbs. 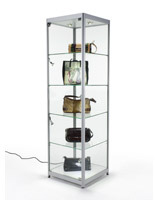 Whether they’re showcasing wares in a retail store, precious exhibits in a museum or art pieces in a gallery, these stands make showcases stand out. 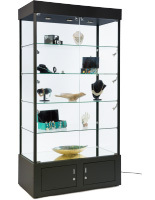 With lights mounted in a number of different configurations, the illuminated display cases on sale can feature single items, lines of merchandise or an entire artists’ collection. 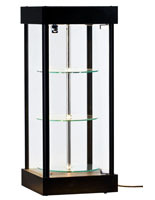 Schools can also use these fixtures to proudly show trophies, awards and class projects. 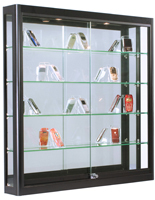 Use these affordable illuminated display cases to give your hard work extra visibility, or put the hottest new merchandise out where every customer can see it. 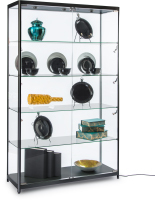 What makes these cabinets ideal for showcasing valuable and high interest pieces? 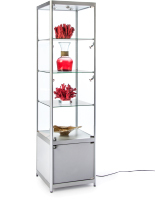 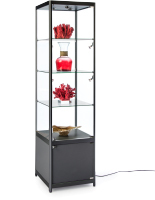 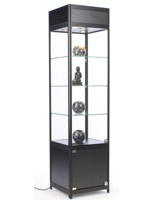 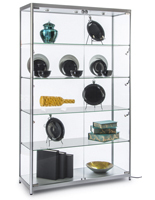 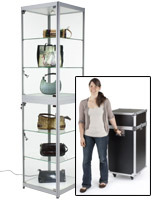 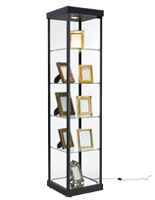 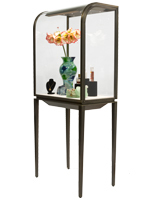 Each of the display cases has a strong metal or wood exterior in a neutral silver, black, white or natural finish. 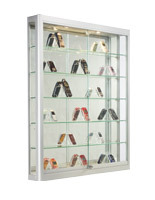 The fixtures feature a sleek angular design that highlights the exhibit rather than themselves, keeping your collectibles the main priority. 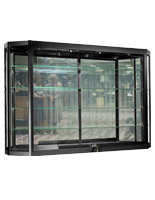 The showcases offer extra visibility with their tempered glass panels, shelves and doors that allow customers and onlookers to see what they came for. 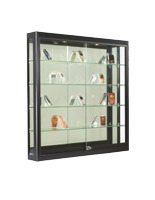 Locking cases prevent theft and benefit merchandisers of valuables like electronics and jewelry while keeping them in full view. 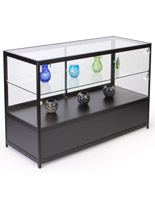 Many stands feature same day shipping, so order today on DisplayCabinets2go.com for affordable displays in an assortment of designs.